Jaspar Lepak is a folk/Americana songwriter whose remarkable gift for melody is only surpassed by her poetry. 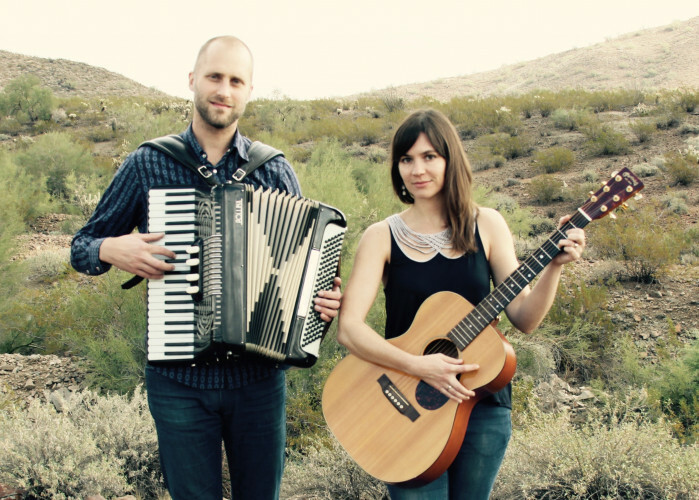 Accompanied by her husband Kale with accordion and harmonies, Lepak's songs are deeply influenced by the many places she has called home: Tucson, Minneapolis, Durban, and currently Seattle. Her lyrics expose a brave vulnerability while her clear, pure voice touches the heart. Lepak started writing songs in 2002 while living in Minneapolis. Between 2004 and 2009, she recorded five albums, and in the fall of 2009, she and Kale moved to Durban, South Africa. Her music found an enthusiastic audience, and in 2011, she recorded “Forgiving Wind” which Rolling Stone South Africa hailed as an album full of "beauty and original charm.” Jaspar and Kale moved to Seattle in 2012, and the two regularly perform as a duo. Jaspar’s eighth album release “Close to Me” is a project recorded over a weekend in April 2017—just two weeks before their daughter was born!